I still have my EUR/USD trade open and with no major catalyst pushing the majors around lately, I’ve decided to point out technical forex setups on the major dollar pairs instead. Check them out! First on my list is the one where I’m already invested in. I was able to enter a long trade at around 1.1281 with my stops somewhere below the rising trend line. 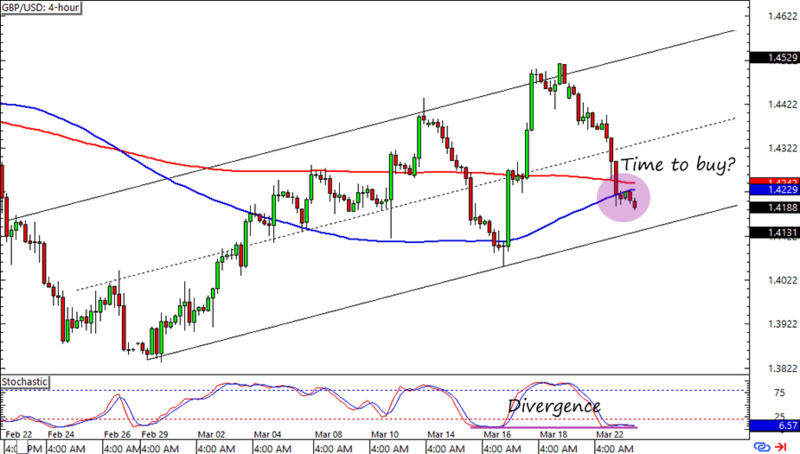 Right now EUR/USD is consolidating at the 1.1200 MaPs, which is also where the 200 SMA, rising trend line, and 50% Fib are. Looks cool, right? 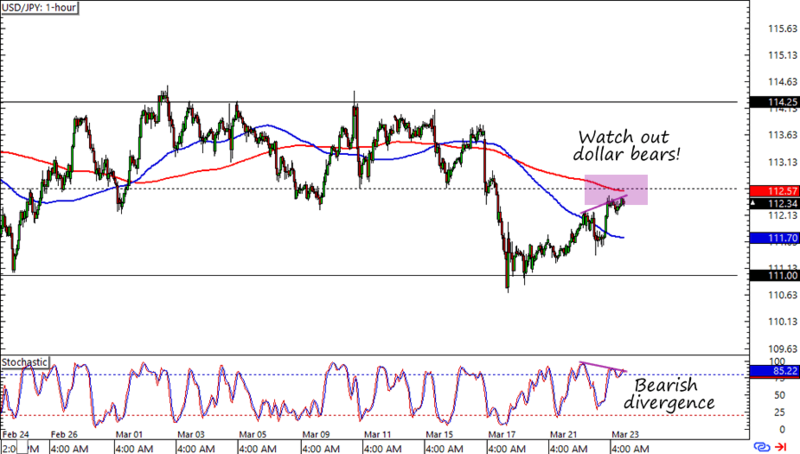 Do you think the euro will bounce against the dollar soon? Here’s one for the yen fans out there! USD/JPY is about to reach the 112.50 minor psychological handle, which is also a mid-range resistance on the pair’s 1-hour time frame. And look at that neat bearish divergence on the chart! You could short the dollar at current levels if you think the yen will gain some pips soon, but you can also wait for the pair to retest its range resistance if you think that the dollar still has room to rise against the yen. We’re now moving to higher time frames! 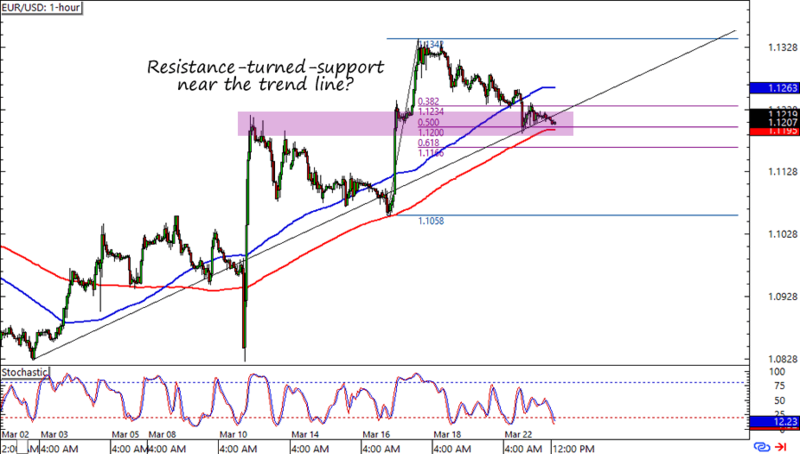 Cable is having trouble deciding on a direction after temporarily being stuck at the 1.4200 area. This isn’t surprising since the level is almost near a rising channel support on the 4-hour chart. If you’re not sure about buying the forex pair just yet and you love SMAs as much as I do, then you can wait for a crossover before you enter a long trade. Also, don’t hesitate to jump in as soon as you see some bullish candlesticks! If you prefer long-term forex trades instead of day or swing trades, then this one’s for you! 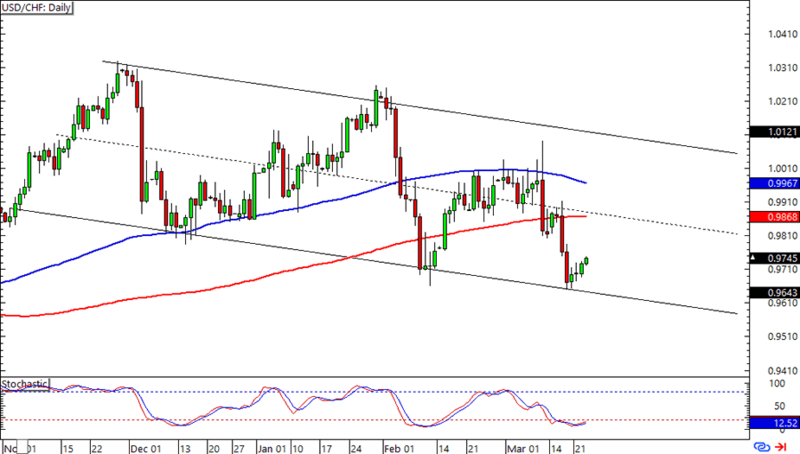 USD/CHF has just bounced from the .9700 area, which had lined up with a falling channel support on the daily chart. Oh, and Stochastic is also currently in the oversold area! You could target the 1.0100 levels if you’re confident on the dollar rallying and just place your stops just below the trend line support. I wouldn’t recommend taking this one without extra caution though, as the bears can always step in and extend the downtrend. Be careful!